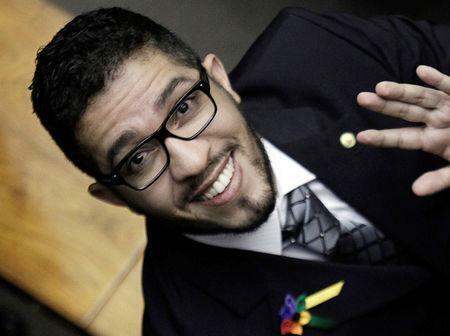 BRASILIA (Reuters) - Jean Wyllys, Brazil's first openly gay congressman, said on Thursday he will not serve a new term for which he was re-elected due to death threats and he now plans to live abroad. 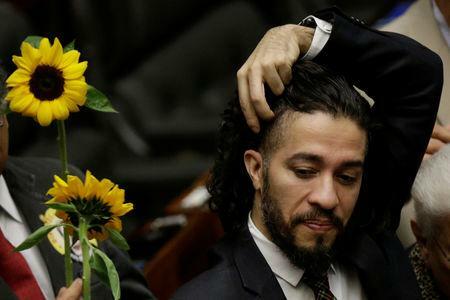 But Wyllys' Socialism and Liberty Party (PSOL) said his seat in Brasilia will go to a substitute lawmaker who is also gay: Rio councilman David Miranda, the husband of Pulitzer Prize-winning U.S. journalist Glenn Greenwald. He said he was tired of living with bodyguards since the execution-style murder last year of popular Rio de Janeiro councilwoman Marielle Franco, a fellow PSOL member. "It was not Bolsonaro's election itself. It was the level of violence that has increased since he was elected," Wyllys told the Folha de S.Paulo newspaper. Wyllys told Folha said he was the target of constant death threats and defamatory campaigns on social media and got pushed in the street even with bodyguards.